Progress as status anticipated; the top two seeds in the Junior Girls’ Team event at the Korean Air 23rd Asian Junior and Cadet Championships in Asan duly reserved places in the final, following success on Friday 30th June. In the title deciding contest, China meets Japan. Taking absolutely no chances whatsoever, at both the quarter-final and semi-final stages China, fielded the prodigious trio of Sun Yingsha, Shi Xunyao and Qian Tianyi. 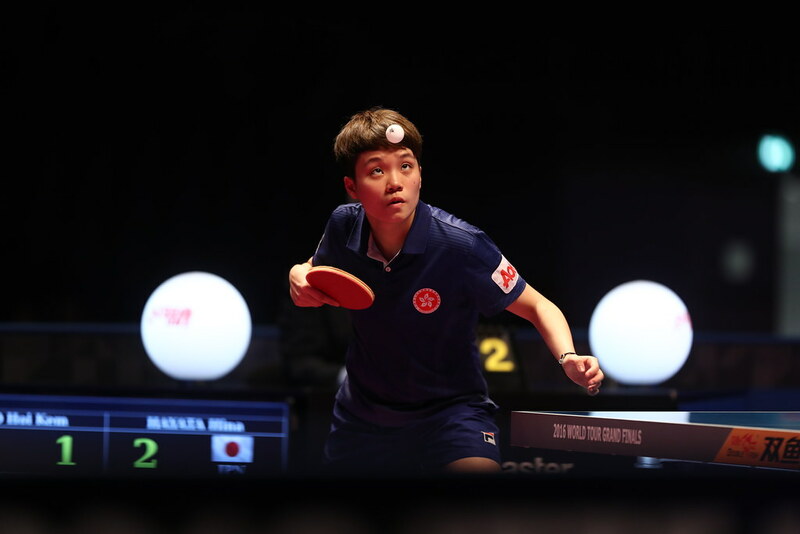 Sun Yingsha has been the star performer at recent Seamaster 2017 ITTF World Tour tournaments. She won in Tokyo before being the runner up in on home soil in Chengdu. Meanwhile, Shi Xunyao is the reigning World Junior champion, Qian Tianyi, as well as winning last week on the ITTF World Junior Circuit in Taicang, is the current Asian Junior champion! Fresh from success in Taicang but Qian Tianyi was the one member of the Chinese outfit to experience problems. After a three-nil win was recorded against the Indian trio of Moumita Dutta, Archana Girish Kamath and Selena Selvakumar, the no.6 seeds; a three-one verdict was the outcome in opposition to Korea’s Kim Youjin, Kim Jiho and You Sowon, the no.3 seeds. The Chinese player to experience problems being Qian Tianyi; in the second match of the fixture, she was beaten by Kim Jiho (11-3, 8-11, 11-9, 7-11, 11-9). However, that was to be the only Chinese reverse as Sun Yingsha underlined the reasons why she is now one of the best female players on planet earth. She recorded straight games wins against Kim Youjin (11-6, 11-1, 11-9) and in opposition to Kim Jiho (11-9, 11-7, 11-6). The one further win for China was recorded in the third match of the fixture when Shi Xunyao defeated You Sowon (8-11, 11-9, 11-8, 11-4). Meanwhile, for Japan, the no.2 seeds, there were no hiccups. Selecting Miyuu Kihara, Asuka Sasao and Miyu Nagasaki, a three-nil win was posted against the Malaysian trio of Alice Chang Li Sian, Tee Ai Xin and Catherine Chan Zhe Yen, before with Yuka Minagawa replacing Miyu Nagasaki, the same margin of victory was recorded against the Hong Kong outfit formed by Wong Chin Yau, Fung Wai Chu and Wang Liyong. The final of the Junior Girls’ Team event will be played on Saturday 1st July.